You don’t need to be one of our “cage-less” dog boarding or doggie daycare clients to take advantage of our professional full-service dog grooming services. 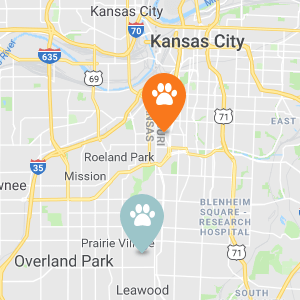 Our professional dog groomers at the historic Leawood location have the knowledge and equipment to groom all breeds and sizes. 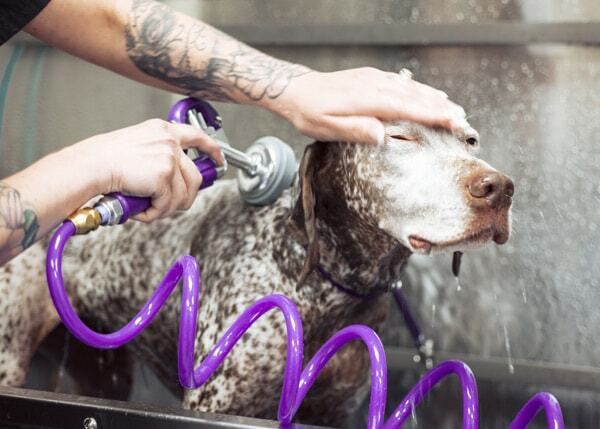 If your dog doesn’t need a full grooming, but is stinky and needs a bath – you can use one of the Self-Serve Dog Wash stations at either location. Just bring yourself and your dog(s). We’ve got the towels, shampoo, conditioner, and even an apron so you don’t get too wet. Full-service grooming for all breeds and sizes. I have been taking my Poodle (Conner) to Dog Pawz for the last 3 years for grooming. I have always been extremely satisfied with the professionalism and the grooming cut. Poodles are not an easy breed to groom... I'm very happy with the service!